High-resolution objectives for Near UV applications with high transmission wavelengths down to 355nm. Full specs are available for download on the datasheets. 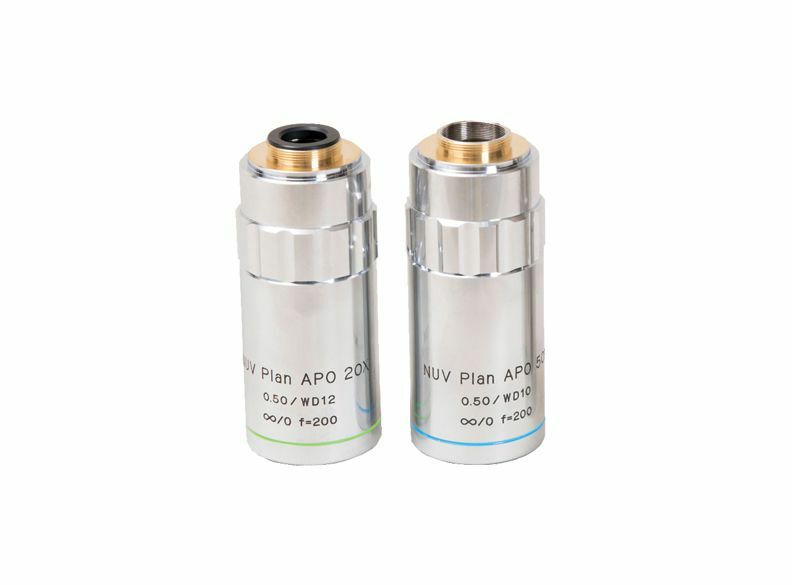 These objective lens extends that range of the M Plan APO objectives into UV and have a super long working distance. The focal plane is corrected for both Bright Field and Near UV (355nm), meaning that both wavelengths will be in focus. and processing thin film by attaching these lenses to microscope with YAG laser unit.